In 2015 a Scandinavian study found no increased risk for Multiple Sclerosis or demyelinating disease among 4 million females, of whom 800,000 received the HPV vaccination. But at a recent forum in San Diego researchers presented two cases of multiple sclerosis (MS) that had developed in teenagers after receiving Gardasil the human papillomavirus (HPV) vaccine. The study author Ye Hu reported on 2 teens who experienced MS symptoms 1 to 2 weeks after receiving the vaccination. A 14-year-old male started to experience left retro-orbital pain and blurred vision in the left eye 2 weeks after receiving his third dose of Gardasil. He was diagnosed with left optic neuritis and reported a second occurrence 2 months after his initial symptoms. A 17-year-old female started to experience blurred vision in the right eye 2 weeks after receiving her first dose of Gardasil. A right frontal enhancing lesion was seen on brain magnetic resonance imaging (MRI). She was diagnosed with right optic neuritis and did not receive further doses of Gardasil. One week after discharge, she experienced intermittent numbness and weakness in her lower extremities in addition to blurred vision in her right eye. A repeat brain MRI revealed a new left parieto-occipital enhancing lesion. It is pleasing to read of this research which is the start of much more to come and signals an opening up of a conversation that acknowledges the problems associated with the HPV vaccines manifesting in thousands of adverse events and hundreds of deaths occurring after the vaccination. According to VAERS the CDC’s vaccine adverse event reporting system there have been 53 cases of multiple sclerosis reported after vaccination with Gardasil and two following the new HPV vaccine Gardasil 9. This is the tip of the iceberg as very few adverse events are reported with most people ignorant of where or how they are to go about the process of having their adverse health event recorded. Then there’s the problem of determining if symptoms of an adverse event are causally linked to vaccines or a coincidence. The symptoms of multiple sclerosis can also be similar to those of other diseases such as acute disseminated encephalomyelitis (ADEM) and include problems with coordination and speech, sight difficulties, fatigue and weakness. In my book Gardasil: Fast-Tracked and Flawed I relate the experience of Kristin Clulow, a 26-year-old Australian woman who after her second shot of Gardasil found her health beginning to unravel in a devastating way. Kristin was initially given the diagnosis of multiple sclerosis and treated unsuccessfully with corticosteroids. Further tests revealed that she was suffering from acute disseminated encephalomyelitis (ADEM), an immune-mediated inflammatory demyelinating condition that predominately affects the white matter of the brain and spinal cord. Multiple sclerosis is a debilitating disease affecting the central nervous system with interference occurring in nerve impulses within the brain, spinal cord and optic nerves. The average age for a diagnosis of multiple sclerosis is 30, but in recent years the number of younger women diagnosed with the disease in Australia has risen dramatically. It used to affect men and women equally but now women are three times more likely to be affected. Recently I came across a young woman who was relieved to be diagnosed with MS because no-one had been able to tell her why she was unwell. Her symptoms began when she was 13 and consisted of headaches, sensory deficit affecting her leg, and fatigue resulting in her missing a lot of school. I wondered as I listened to her story if she might be suffering a vaccine injury. Neurological dysfunction is one of the very common adverse events of the Gardasil vaccine. Her symptoms started at 13, the age that Gardasil is given to young teens as part of the school vaccination program. In all of this I have to wonder just how many girls and boys are diagnosed with MS and other neurological conditions and autoimmune diseases rather than with a vaccine injury. Sometimes the correct diagnosis is eventually made as it was in the case of Naomi Snell, a 28-year-old Melbourne woman who suffered autoimmune and neurological problems following her Gardasil vaccination. Snell was initially diagnosed with multiple sclerosis but was later diagnosed as suffering a neurological response to the vaccine. Vigibase, the World Health Organisation’s database of adverse events reports 36,915 nervous system disorders following Gardasil vaccination. But then each shot of Gardasil contains 225 mcgs of aluminium, a neurotoxin used as an adjuvent to stimulate a vaccine immune response. When Kristin Clulow had a mineral analysis of her hair done it showed that her body was high in aluminium. Once in the body injected aluminium can migrate and accumulate in the brain. Scientists at Keele University have recently discovered the way the aluminium in vaccine adjuvants travels from the site of injection to the brain. The toxic potential of aluminum is high. This study has demonstrated that injecting alum adjuvants with vaccines results in transference to the brain, where it persists. Such research must be continued and heeded by those in power who continue to prescribe an ever-increasing number of vaccines often laden with aluminium adjuvants needed to bring about an immune response. As the new school year begins Australian teenagers will be offered the latest HPV vaccine Gardasil 9 which contains even more of the aluminium adjuvent than the quadrivalent HPV vaccine Gardasil. One shot of Gardasil 9 has 500 micrograms of this known neurotoxin. Girls and boys will receive two shots of the vaccine, bringing the total amount of aluminium injected into their young bodies up to 1000mcg. Gardasil and Gardasil 9 contain amorphous aluminium hydroxyphosphate sulphate (AAHS) a new form of aluminium which causes the immune system to become 104 times more powerfully stimulated than would occur naturally. The adverse events in their many forms can be avoided. The HPV vaccination programs must be stopped. Our teenagers do not need HPV vaccines to prevent them from cervical cancer. Since the Australian National Cervical Screening Program began in 1991, the number of deaths from the cervical cancer have halved. There is no epidemic of the disease in western nations. In 2014, there were 223 deaths from cervical cancer in Australia and the deaths were mostly among elderly women. And yet we have institutionalised this vaccine for every teenager. In “FDA approved Gardasil 9: Malfeasance or Stupidity?,” Norma Erickson examined the Gardasil 9 package insert where she found that the rate of serious adverse events in the trials of Gardasil 9 was 2.3-2.5%. This means that for every 100,000 people who are given Gardasil 9, there will be 2,300 serious adverse events, and yet the cervical cancer rate in the U.S. is around 7 women per 100,000. This is insanity! Expect to hear more research linking HPV vaccines to neurological events and autoimmune diseases. The truth will come out! Chandler Marrs reports: Another Gardasil girl died last month. The author of Another Day, Another Death sends her condolences to the family of the dead girl whom she had not had the chance to meet. Sadly there are many Gardasil girls we will never get the opportunity to meet. Their young lives have been cut short by illness and death. This young girl is one of at least 324 young people who have died after receiving HPV vaccines such as Gardasil. I am deeply sorry to report that the total number of reported deaths and adverse events post vaccination is far from abating. The wonderful website SaneVax keeps a tally of the recorded adverse events and deaths affecting young people following HPV vaccination. In June 2017 as recorded in my book Gardasil: Fast-Tracked and Flawed the total number of deaths was 315, but the number of deaths has now reached at least 324. This is an increase of 9 deaths from the end of May until July 2017. Bereaved families should not expect an apology from the vaccine industry – their profits continue to grow despite the more than 73,000 adverse events that have followed vaccination against the human papilloma virus. It is seriously obscene that industry profits grow in the wake of escalating numbers of young teenagers damaged after getting a vaccination for a disease they were most unlikely to get. The industry reports that the end of this month Merck’s sales of Gardasil and Gardasil 9 had climbed 19% to $469 million after strong sales in the Asia Pacific region and profitable sales in Brazil. We should also not expect to hear about the death of another Gardasil girl in our evening news bulletins. Seriously if it wasn’t for websites such as SaneVax and Hormones Matter we might still be in the dark about the shocking number of casualties following the receipt of a vaccine that was supposed to prevent cervical cancer but at best is protective against a few types of the human papilloma virus. Where is the mainstream reporting? Aren’t the deaths and the prolonged injuries suffered by so many of our young worthy of their time, expertise and exposure? How can the ABC, The Age, The Guardian and other news outlets that have long sought our trust and readership fail to bring us the news about these young people who are becoming ill, often remaining so for a very long time, with some even losing their lives after HPV vaccination. These are our young adults given these vaccines as part of the school vaccination program. But it is a program for which there is no informed consent. If there was informed consent then parents and their offspring would be aware that there is no epidemic of cervical cancer in western nations and that the vaccine has not been proven to prevent cervical cancer. Parents also need to know there have been thousands of adverse events following the vaccination and hundreds of deaths. This lack of informed consent is unethical and the media should be doing its job and alerting the community. The prolonged suffering of these young people affects the whole family – one parent will have to give up their employment and become a carer. The family will have to seek alternative health care which is expensive because the medical system usually has no answers to the conditions these girls and boys are suffering and most won’t even admit that it is a vaccine injury. Many of these ill teenagers are told they are making it all up; that they are hysterical and we have heard such dismissive nonsense before. The job of the media is to inform the public, not protect corporate interests. However sadly this is not always how the system works. The ramifications of this fast-tracked and flawed vaccination program need to be examined. These young people will need treatment, a lot of them can no longer go to school. What is to become of them? Society should care deeply about this. And society needs to hear the truth. As to the failings of our media, honorary professor in the School of Humanities and Social Inquiry at the University of Wollongong, Sharon Beder writes about the power of corporate advertising and its ability to influence and taper media content so as to attract a certain audience who will succumb to advertising, its considerable influence extending to the editing of content. And in the case of the ABC which is free from advertising there is still constraint especially when it comes to airing any information about any vaccine. The firm supportive position that our government and health authorities take on the issue is not open to debate. quo tends to be perceived as having a ‘point of view’ and therefore biased. And if anyone is in doubt about what happens when mainstream dares to report on problems with health policies they have only to look at what happened when the ABC’s science program Catalyst and presenter Dr Maryanne Demasi investigated the science behind the claims that saturated fat causes heart disease by raising cholesterol and whether cholesterol – lowering drugs reduced the risk of heart disease. This was courageous reporting for over the last few decades we’ve been told that saturated is bad for our arteries and that cholesterol causes heart disease resulting in a multi-billion dollar drug and food industry. In the first episode Heart of the Matter, Demasi explored the origins of the belief that saturated fat and cholesterol cause heart disease and why this is now being called the biggest myth in medical history. There was a predictable outcry over the program with representatives from The National Heart Foundation telling the ABC’s PM program that they were “shocked” that Catalyst had disregarded evidence about the effectiveness of cholesterol drugs and ABC’s Health Report presenter Dr Norman Swan claiming that “people will die as a result of the Catalyst program unless people understand at heart what the issues are.” What is at stake when one dares open this ‘can of worms’ is one’s career and after another attempt at informing the public this time on the dangers of Wi-Fi, Maryanne Demasi was sacked. Catalyst has also disappeared from our screens. But something has to give. We cannot continue to live the lie that denies the death of the latest Gardasil girl and those who no doubt will follow her. Is this intentionally causing infertility in boys… and girls? Sherri Tenpenny – What If You Had Known? Aluminium found in granulomas and lymph nodes of sheep after vaccination. A wake-up call like no other! Do you know what’s in a vaccine? HPV vaccines for UK boys – why the change of heart? Whooping cough vaccines for expectant mothers? 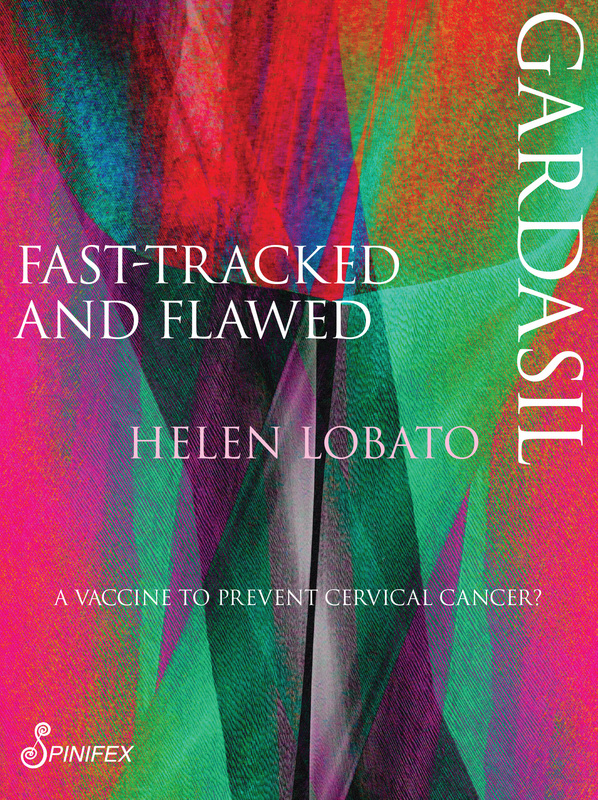 What started out as a vaccine fast-tracked to protect against cervical cancer is flawed. Why are we so afraid of viruses and bacteria? Why are we replacing the Pap smear with a test for HPV? “We can now prevent cancer. You can stop your kids getting infected with this cancer-causing virus. It’s staggering,” says expert.